Inflation as a phenomenon has witnessed remarkable changes starting from mid-eighties of the last century. Inflation rates have become less persistent, less responsive to supply side shocks. In addition, the relative importance of demand pull inflation as one of the major determinants of inflation has decreased due to efficient monetary policies that have been adopted by central banks all over the world to reduce inflation based on anchoring inflation expectations. Moreover, the slope of Phillips curve has flattened as many factors have appeared to be more influential on inflation rather than output gap, namely inflation expectations. These changes constitute in the new economic literature what so called “Inflation Dynamics”. In this context, this study focuses on analyzing inflation dynamics in Egypt in (1980- 2009) in order to identify to what extent “Inflation Dynamics” in Egypt is different from or similar to those witnessed globally. 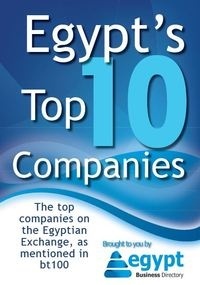 The study applied a Vector Auto Regressive model (VAR) and other econometrics models to analyze “Inflation Dynamics” in Egypt in three sub periods: the 1980s, the 1990s and the first decade of the new millennium. 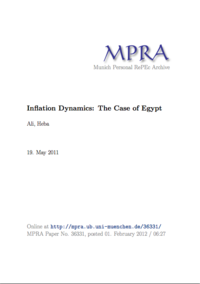 The study concluded that Inflation Dynamics in Egypt is completely different from those observed globally. Inflation rates in Egypt have become more persistent especially starting from 2000; Inflation shocks are now lasting longer and have a long-term impact on the future inflation paths. On the other hand, demand bull inflation still considers one of the most important inflation determinants, as it is solely responsible for explaining 30% of the changes in inflation rates. In addition, the study confirmed that inflation rates in Egypt have become more responsive to supply side shocks starting from 2006. As for the slope of Phillips curve, the study confirmed that similar to the changes observed globally, the slope of Phillips Curve for the Egypt economy has flattened reflecting the increasing importance of other inflation determinants rather than output gap. All whitepapers are available to you and free of charge. This whitepapers is provided by Munich Personal RePEc Archive.